Are you looking for a venue in South Arknasas to create a memorable and elegant special occasion. Look no further than the historic setting of The Newton House. 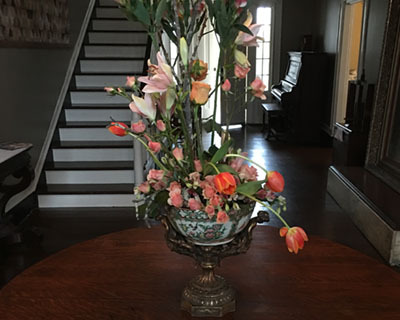 Weddings, receptions, bridal showers, rehearsal dinners, engagement parties, anniversary parties or other intimate gatherings come alive inside this beautiful, two-story circa 1849 pre-Civil War landmark. It is the perfect setting for meetings, corporate board luncheons, dinners, receptions or retreats. In addition to the first floor interior, the grounds may also be rented including the Wade Pavilion. Celebrate your special day in style! 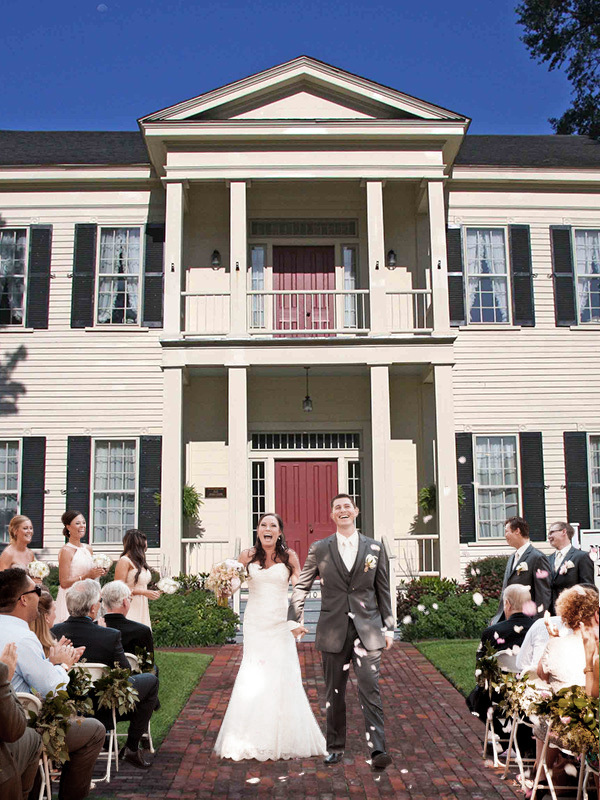 The Newton House is a romantic site to host your wedding celebration. You will be surrounded by rich history as you start your future together. 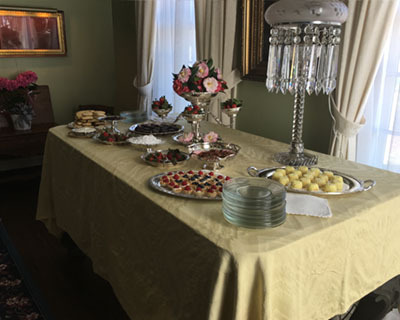 The Newton House is a charming setting for your wedding reception. 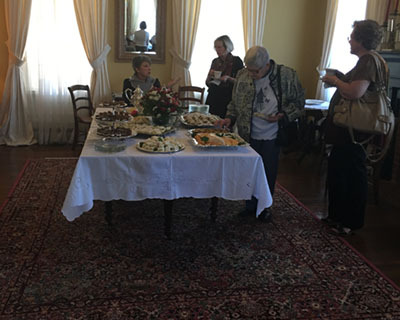 The Newton House is a beautiful and unique venue for intimate events. From a summer brunch reception, to an elegant evening cocktail party inside the mansion, The Newton House is the perfect setting for your celebration. Total occupancy for the inside of the house is 150 people per the El Dorado Fire Department. NO SMOKING is allowed inside the house, or kitchen area. Burning candles and open flames are not allowed inside the house due to fire codes. No birdseed, rice, confetti, petals, bubbles, etc. may be used inside the house. They may be used in the yard. Furniture and furnishings may not be moved without prior staff approval. All furniture and furnishings that were moved must be returned to their original position. Any antique tables or flat top furniture being used must be covered with a protective covering and a table cloth. Nothing may be nailed, taped or attached to walls or doors in any manner that may cause damage. No glitter or glitter coated items allowed. Some antique furniture may be roped to indicate that they may not be used for seating. The telephone is available for local calls only. 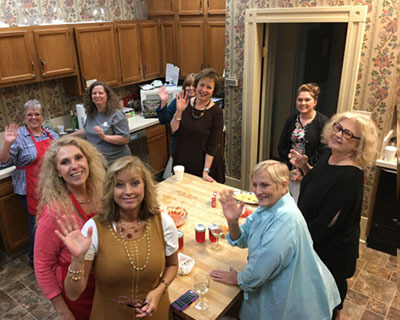 The South Arkansas Historical Preservation Society is not responsible for any articles left overnight, inside or outside the house. Renter is responsible for any damages to the building or its contents that occurs during their rental at full replacement cost. Up to 75 chairs and 8 (8 ft.) tables are available. $100 non-refundable deposit + $100 refundable cleaning deposit required to reserve your date. $50 non-refundable deposit + $100 refundable cleaning deposit required to reserve your date.